The accompanying publication for These stories began before we arrived tells me that this exhibition has honest beginnings. 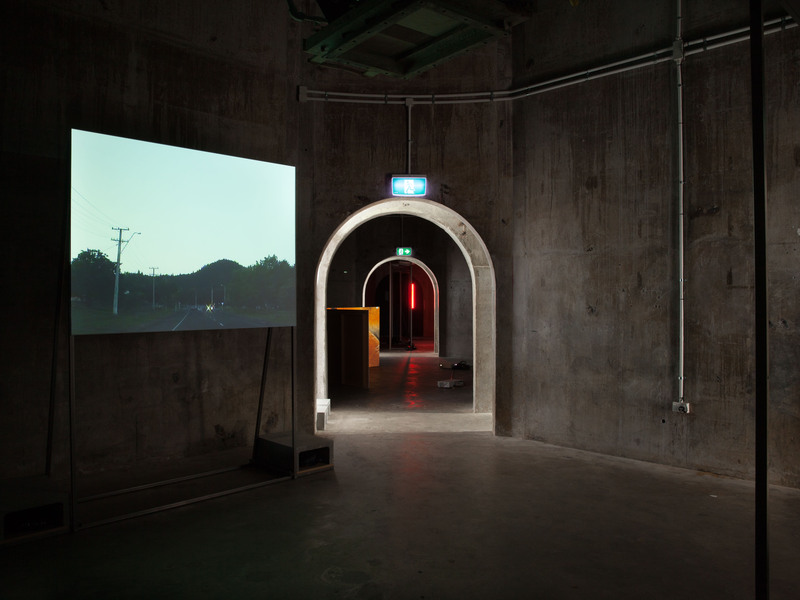 Combine an opportunity from the 2015 Taipei International Book Exhibition, three curators who went on the Asia New Zealand Foundation/Creative New Zealand curator tour together and New Zealand’s recent aggressive move to the inclusion and exchange between us and targeted Asian countries and art communities. 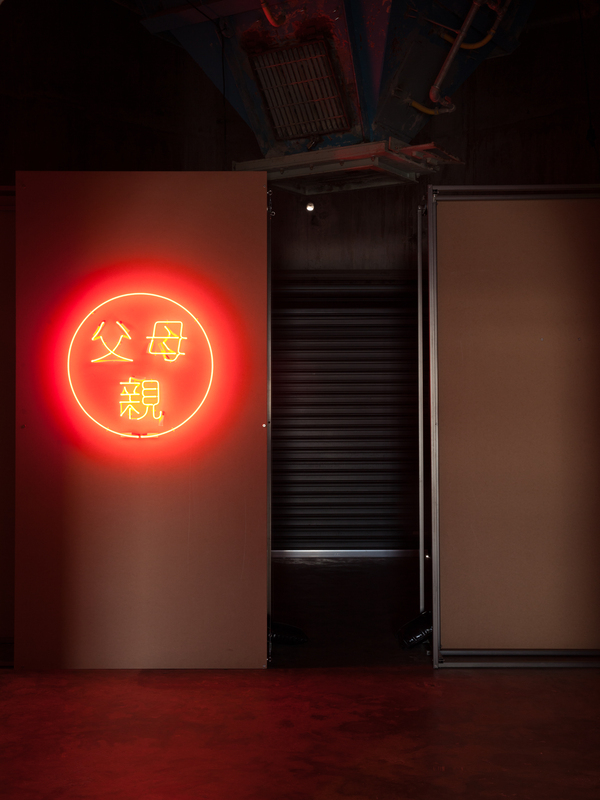 Voilà — there you have it — a narrative heavy exhibition of New Zealand and Taiwanese artists structured on the connector of Austronesian migration. I turned up to the silos on a friday afternoon. The show looked good. It was conceptually tight. The install was slick. The custom-built projection suspenders and screens — the perfect size for each silo — were impressive. Chang En-Man’s Arena is entrancing. The smooth panning and image quality draws you in and the subtitled narrative keeps you there. A focus on the effects colonisation and industrialisation have had on Indigenous Taiwanese parallels our local interest spike in Indigenous empowerment. Picking up on the odd chicken walking across Chang’s screen, Shannon Te Ao explores the proverbial nature of Te Reo Māori, reciting an English translation of He Waiata Mo Te Moe Punarua to farm animals, a complicated allegorical response that could end in multiple conclusions. Natalie Robertson utilises oral story telling in the appropriately titled Kawerau drive through narrative, speaking of post-industrial Kawarau. 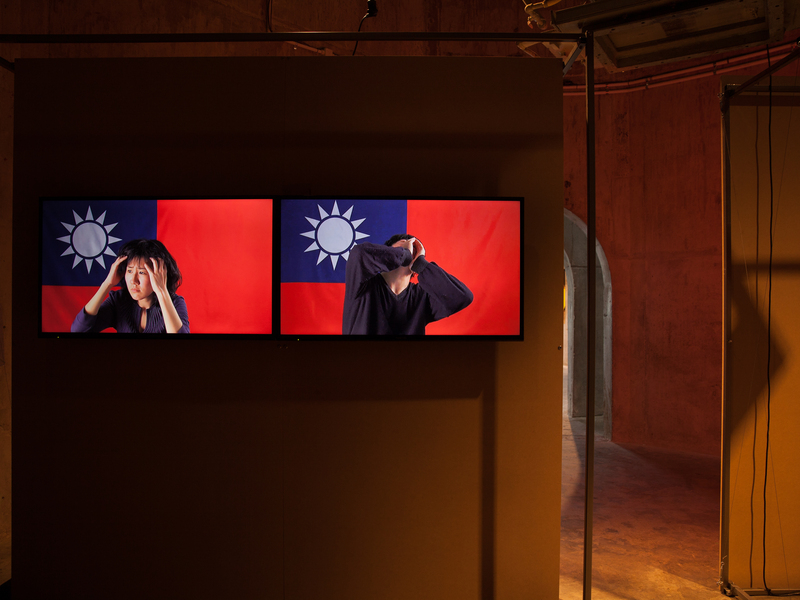 Teng Chao-Ming and Chu ChunTeng turn to ideas of nationalism exploring the individual versus communal identity. Back to farm animals. 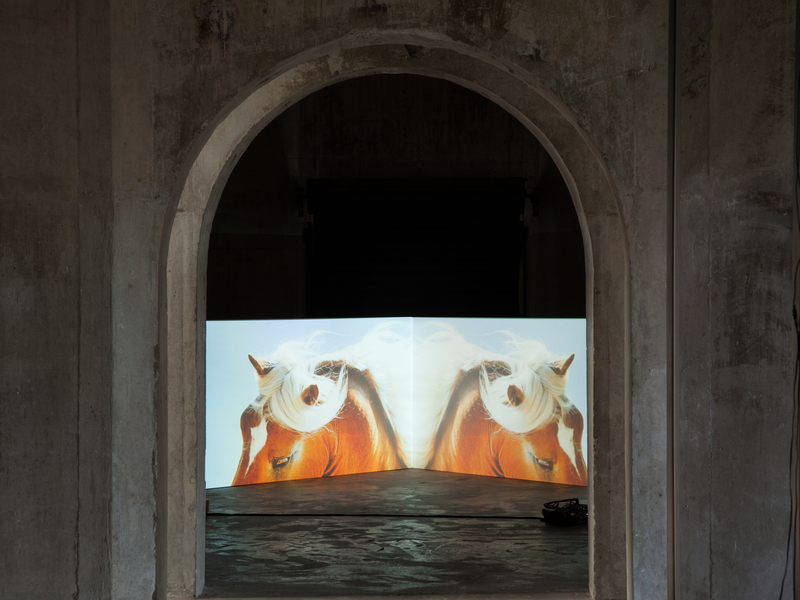 Nathan Pohio, exploits Western cinematic tropes of the horse. There are some obvious cross-references. Chang, Te Ao and Robertson all use voice-over narratives. Pohio, Chang and Te Ao feature farm animals to varying degrees. Silo five was a grouping of its own, three tightly fitted works by Chu and Teng, concerned with forms of language. A sophisticated weave! A conceptual and visual blockbuster, no doubt, but it was other things I had questions about. How long should we set aside for visiting an exhibition? Arriving with an ample three quarters of an hour before needing to be at A’oga Fa’aSamoa in Ponsonby, it felt not long enough. If for some overachieving reason you wanted to watch each work start to finish you need 154.58 minutes (not including looking at Teng Chao-Ming’s two light works). Timebased media is beginning to saturate the art market in our growing digital world. After In Pursuit of Venus (infected) we’ve become spoilt for high production values and personally my endurance for a primarily timebased show is shot. Stand, headphones on, stand, repeat. Watching each work becomes a laboured process, but for works concerned with narrative, can it be anything but? Popping in and out of a narrative work is a no deal situation, it’s all or nothing. And here, I gave all. These stories began before we arrived is high quality exhibition making. I doubt Bruce Phillips, Charlotte Huddleston and Jamie Hanton would produce anything less. Thematically, each work was so tightly hand picked and placed, visually faultless. The supplementary thematic essays in English and Mandarin were so generous and full. There’s this lurking thought though: was this exhibition so polished that an audience was superfluous? Slightly ridiculous really, but perhaps like this text I have a preference for questions rather than answers. You know, like, maybe it was so air tight I couldn’t breathe. Like do I matter, does this review matter? Like do you my reader matter? Or is me writing this an insular act about production over conversation? How resolved is too resolved? Is that even a valid critique?